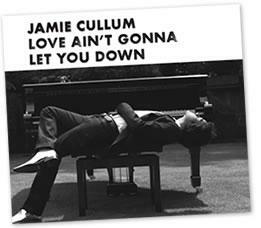 HomeJamie Cullum NewsDon’t forget you can donwload Jamie’s new single “Love Ain’t Gonna Let You Down” TOMORROW!! Don’t forget you can donwload Jamie’s new single “Love Ain’t Gonna Let You Down” TOMORROW!! Jamie’s superb new single “Love Ain’t Gonna Let You Down” can be downloaded from here TOMORROW!!! @JCFanzone You know the video they showed on BBC Breakfast for L.A.G.L.Y.D, do you think they will use that as the video for it? @kirstymunnsey I really liked @daithimusic and Pepper & Piano 🙂 And of course #jamiecullum was awesome! !